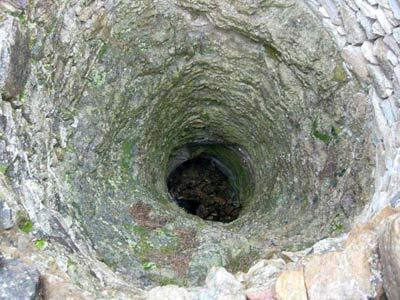 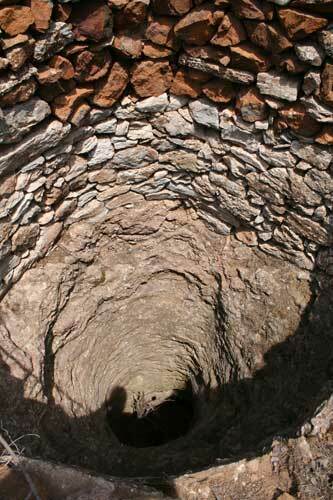 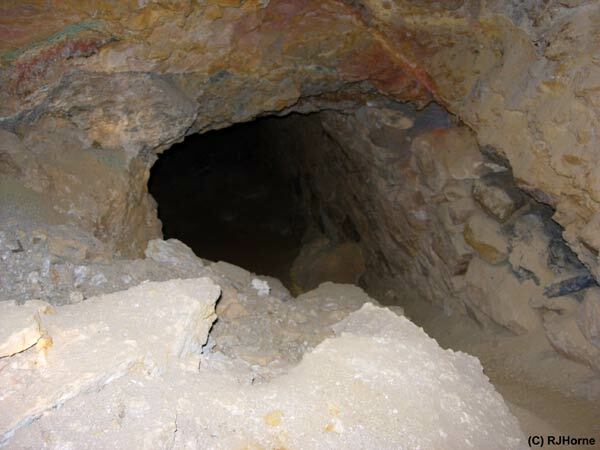 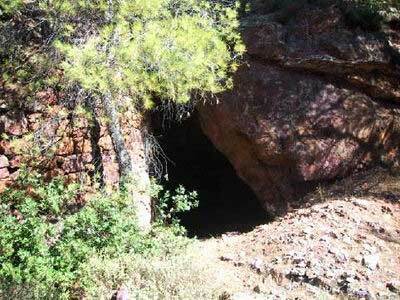 Ancient vertical shaft leading to a horizontal mine below. 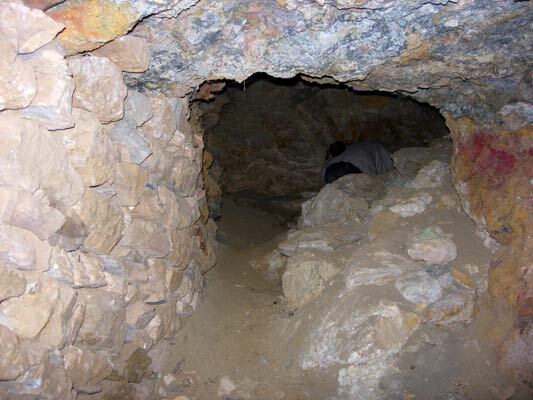 and hauled up again at the end of their 10-hour work shift. 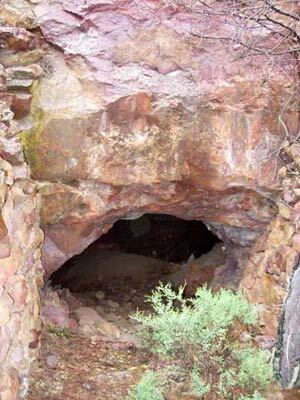 the rough edges of the shafts. 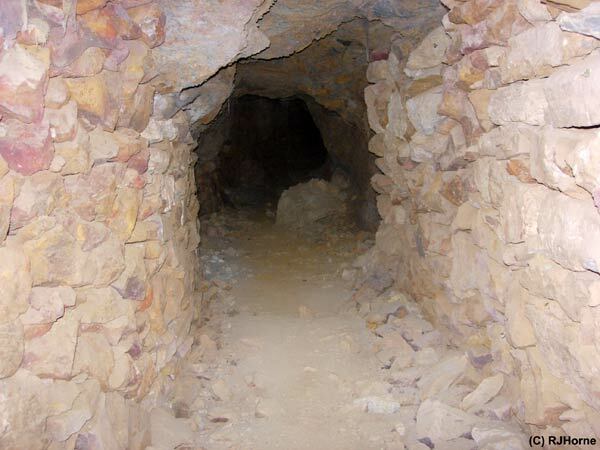 The entrance on the right divides into two tunnels as seen below. 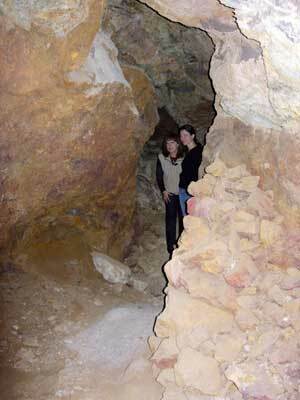 Inside mine-A. 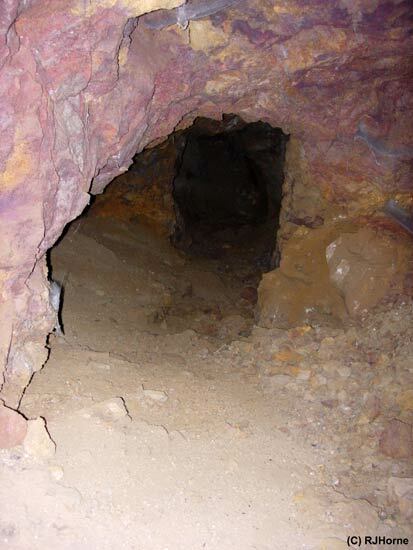 The right-hand tunnel is safest for exploring..
the mine is reached by walking under this roofed chamber. 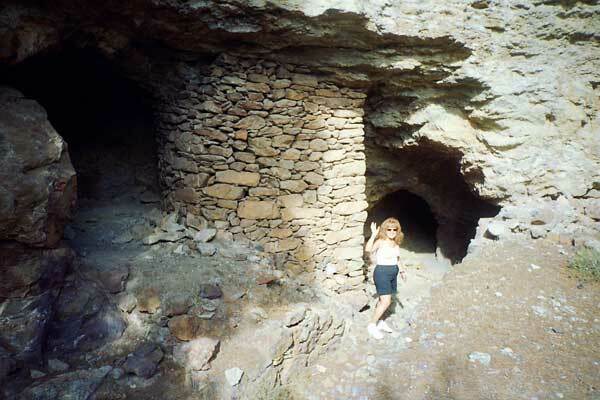 The tunnels split off in all directions! 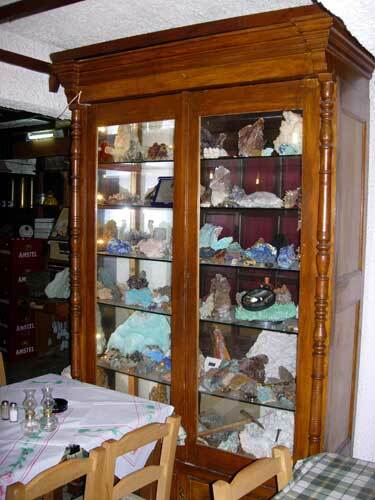 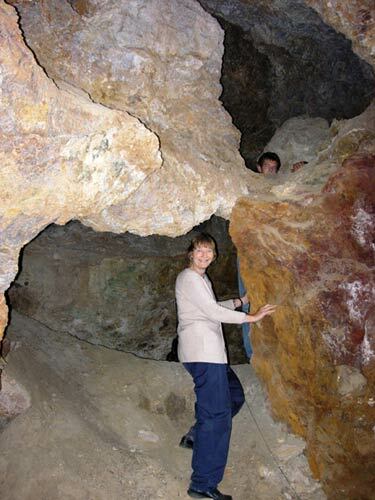 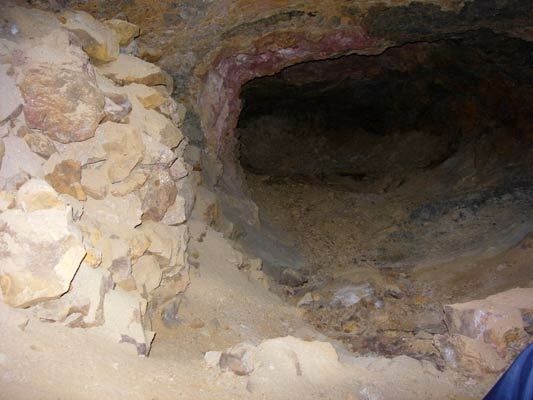 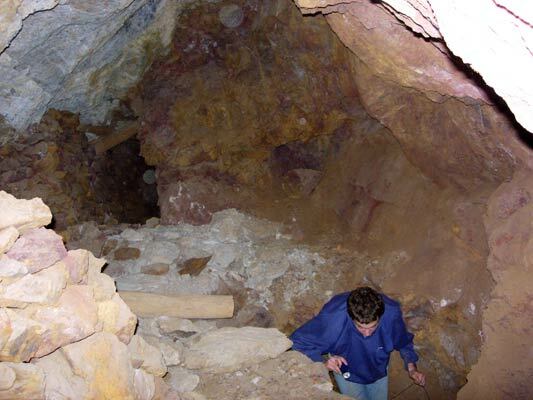 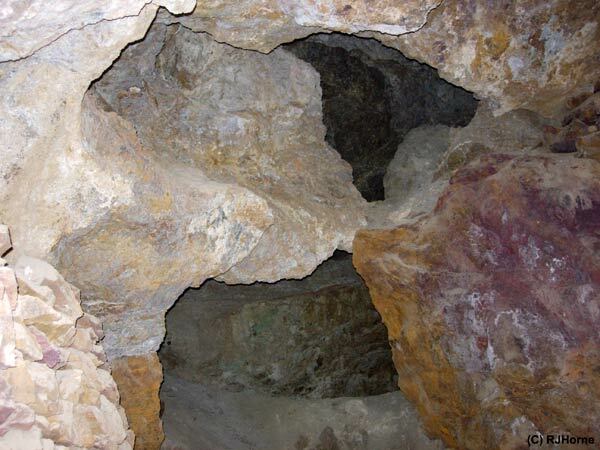 Minerals can be clearly seen colouring the walls of the mine. 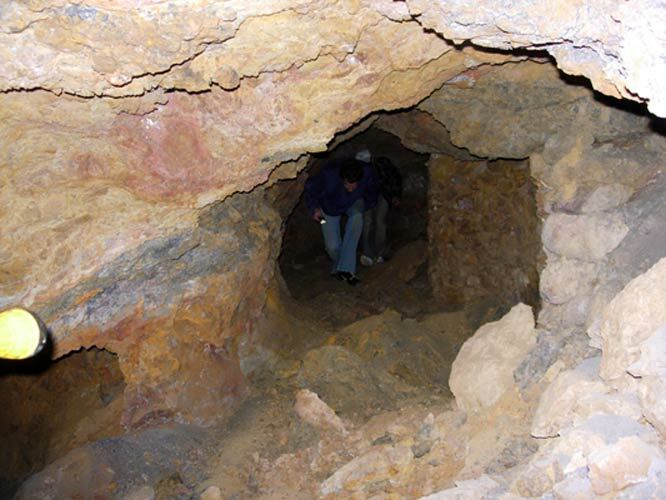 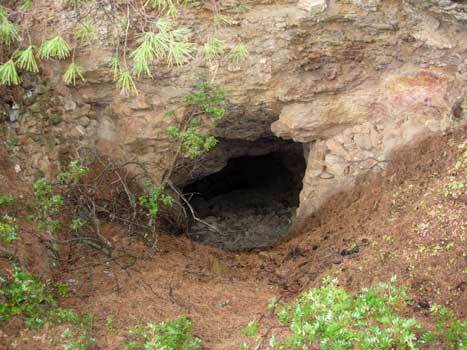 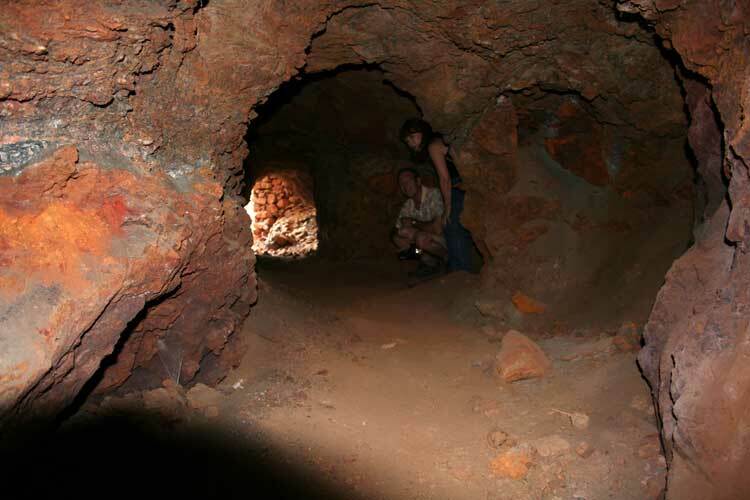 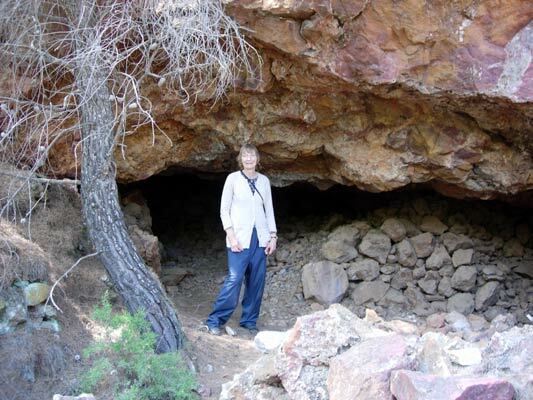 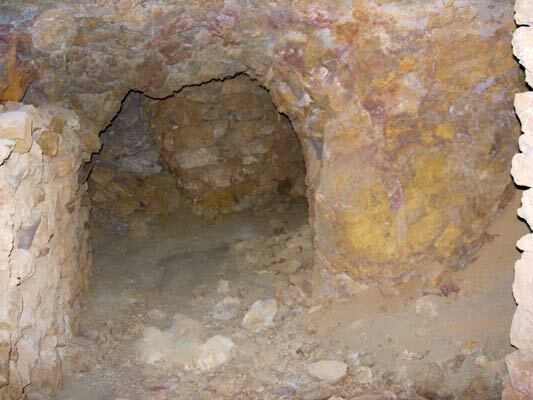 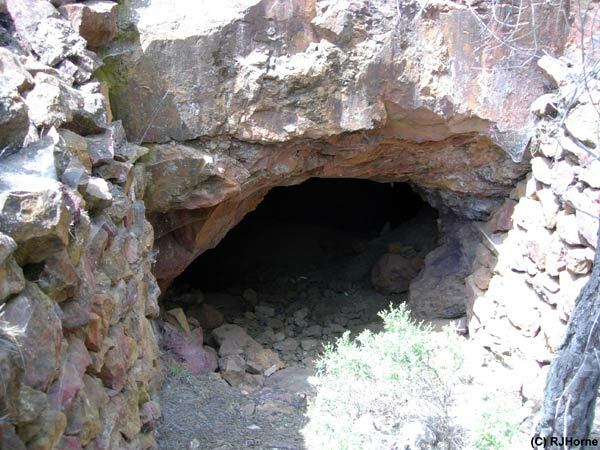 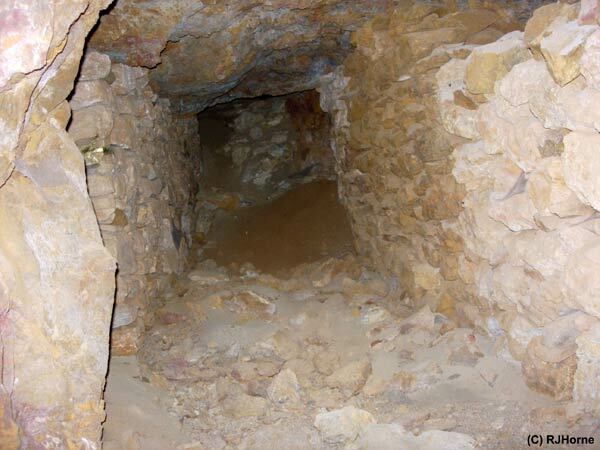 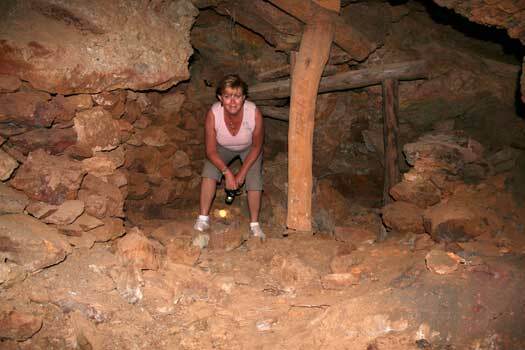 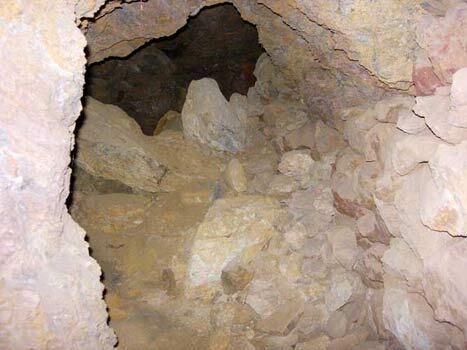 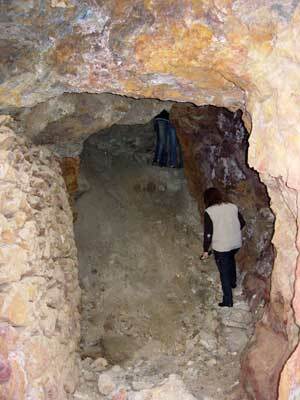 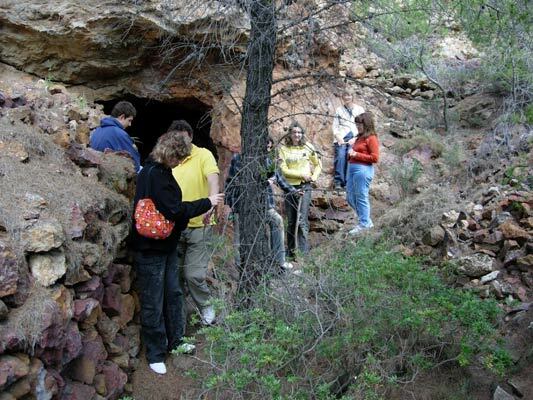 Slaves worked 10-hour shifts of back-breaking work, 7-days a week in these mines!